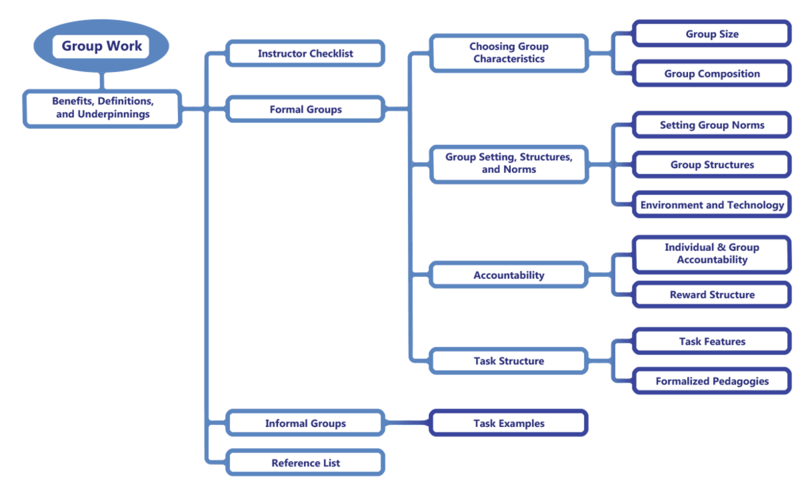 The CBE-Life Sciences Education journal has synthesized the research on group work to create a teaching guide on best practices, with references for each component (https://lse.ascb.org/evidence-based-teaching-guides/group-work/). Discussion and lab sections offer a great opportunity to get students to work in groups and/or have them spend time on group projects. This works most equitably if attendance at the section can somehow count toward their grade (so that students with work or caregiver commitments can still be incentivized to carve out time to attend). If you prefer not to take attendance, you can have students submit completed discussion worksheet on CCLE by the last discussion time and/or a few days later. So students don’t feel forced to attend, but recognize how it will help them do their homework. Have short graded quizzes in discussion, ideally based on relatively basic content from lecture/reading/online homework assignment. This encourages the evidence-based practice of frequent low-stakes quizzes, while encouraging students to attend discussion and stay to work in groups. Have students hand in graded homework during discussion, so that they are encouraged to attend and can decide if to stay. Some faculty are hesitant to “force” high-performing students to attend class. If so, you can give students a choice to lower the weight of the final exam by attending discussion. For example, either the final exam is worth 35% of their grade, OR the final exam is worth 30% of their grade and their discussion participation grade counts for the other 5%. 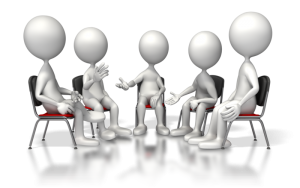 Have you ever been in a group discussion where one or two people dominated the conversation? How about a time when you wanted to share an idea, but were immediately interrupted? Ever witness someone saying something insensitive or innappropriate and not sure how to intervene? What about a time when the group discussion digressed so much that little was accomplished from the intended goal? Most of us have had the above experiences, and for students these can be frequent experiences in classes that include group discussion and group work. At the same time, group collaboration and discussion skills are important skills for students (and instructors) to develop. The strategy of setting ground rules for group discussion can be an effective technique for promoting an inclusive climate. Students may create their own grown rules or instructors may wish to provide them. Once developed and communicated, ground rules can be revisited at any time. Allow the speaker to complete their thought before making a comment (avoid interrupting). Do not engage in texting or side conversations during group discussion. Provide opportunities for individuals who have not yet spoken to offer their thoughts. Use the following resource to help group members discuss the behaviors that they most identify with, and how those behaviors might positively or negatively impact the group. After this exercise, students may be more open to naming these behaviors when they occur. A short description of different approaches to student group work and their benefits, requirements, and implementation logistics, prepared by CU-SEI and UBC-CWSEI staff & associates.